Gain insight into the mechanical properties and performance of engineering ceramics and composites. 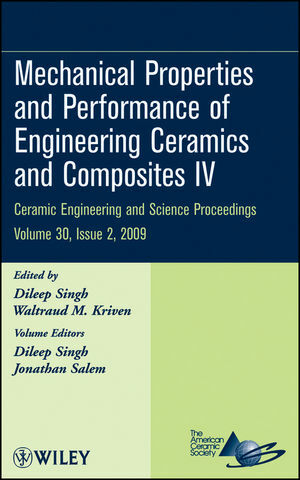 This collection of articles illustrates the Mechanical Behavior and Performance of Ceramics & Composites symposium, which included over 100 presentations representing 10 countries. The symposium addressed the cutting-edge topics on mechanical properties and reliability of ceramics and composites and their correlations to processing, microstructure, and environmental effects. Dileep Singh, Argonne National Laboratory.